Jazz trio Twin Talk's third album, Weaver, is inventive and exhilarating, combining unique arrangements and arresting melodies. The most exciting jazz music being made today is the kind that defies convention, the kind that makes you rethink the concept of jazz while still retaining a comfortable air of the familiar. It can be a tough line to straddle. One of the bands doing just that is Chicago's Twin Talk. Formed in 2012, their sound is unmistakably jazz, but falls outside of the genre's comfort zones just enough to make it fresh and vital. The trio's third album, Weaver, follows 2013's Sightline and their 2016 self-titled sophomore effort. Dustin Laurenzi, a reedist who plays tenor saxophone, clarinet and bass clarinet, was touring with Bon Iver when that band's leader, Justin Vernon, was impressed enough with Twin Talk to give them time in his Wisconsin studio. From there, Weaver was born. Rounding out the trio is bassist/vocalist Katie Ernst and drummer Andrew Green, and the three musicians kick off Weaver with a distinctly eclectic title track – one that combines dreamy, understated vocal lines, martial percussion beats, and Laurenzi's tenor sax taking some inspired soloing while bass and bass clarinet keep a hypnotic pulse. It's traditional yet still refreshingly adventurous. The following track, "Five", is more ethereal, almost dream-like, even when it descends into chaos as the track winds down. While all three members of the band are active in Chicago's bustling jazz community by playing in a variety of different bands, their collective voice is evident as Twin Talk. This is a band that truly listens to each other and operates as a distinct unit, as Ernst's "Human Woman" demonstrates. Her powerful voice emits a seductive, jazzy vocal line, which Laurenzi apes on the tenor sax as the two create a vibrant duet; meanwhile, Green's frenetic drumming eggs them on. His percussion also frames the unique pulse of "Miniature I", with distorted tom-toms accompanying a vocal/sax melody that allows the track to exist for just under two minutes, never coming close to overstaying its welcome. The use of Justin Vernon's studio was quite the coup for Twin Talk, as the sound of Weaver is decidedly crisp and clear, with separation of instruments providing plenty of opportunity to pick apart the instrumentation. On a luxurious, slow number like "The Sky Never Ends", Twin Talk move deliberately through the song, and even with double-tracked clarinet and the interweaving of vocals and saxophone, it never seems overstuffed. The trio creates a mood that is artful but unpretentious, and when it slows down to a droning, meditative coda, it comes off as a natural transition even if you never expected it. Elsewhere, the transitions on Weaver are abrupt and refreshingly playful. "The Sky Never Ends" careens abruptly into "Paxton", a bit of off-kilter funk highlighted by Green's raucous drumming. Ernst then takes the spotlight in "Solace", the album's foray into actual lyrics. It's a gorgeous, almost Zen-like tone poem. "All the words you need now / Were spoken long ago," she sings repeatedly, like a mantra, while Green and Laurenzi artfully back her up. Weaver concludes with the sequel "Miniature II", and it brings the album to a peaceful close, with Green's clattering, lyrical percussion providing the perfect accompaniment to Laurenzi's soloing and Ernst's heavy bass lines. It's a fitting end to a sometimes frenetic, always eclectic sonic ride. 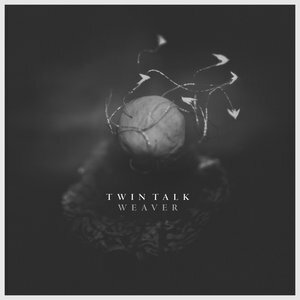 With Weaver, Twin Talk have made a bold musical statement, and it's one that will likely cause the serious (or even casual) jazz fan to take notice.